Just a few weeks after crossing the finish line of my first half marathon (the 2011 Walt Disney World Half Marathon), I got this crazy idea in my head that training for a full would be fun. Of course, I had no idea where to start, but before I knew it, I had assembled a plan (I used Runner’s World SmartCoach) and gunned for a sub-4 as my debut 26.2 – and hit it! 3:59:13! It was, until that point, the hardest thing I had ever physically done in my entire life – and I was hooked. …it was a good thing that I was so hooked – because I had actually registered for this race with Team in Training (TNT) as my second full before I crossed the finish line of Richmond! It was my first experience training and fundraising for an event, and I would not trade the experience for anything in the world, raising more than $2,500 for the Leukemia and Lymphoma Society. My race, however, was not quite as successful. Although I PR’d by 1 minute, I started off way too aggressively in this race, and hit the wall HARD at Mile 20, and felt like I had to drag my body to the finish line that windy morning. Fortunately for me, with TNT, coaches ran stretches with me in that last 10K and put a smile back on my face, despite the pain. 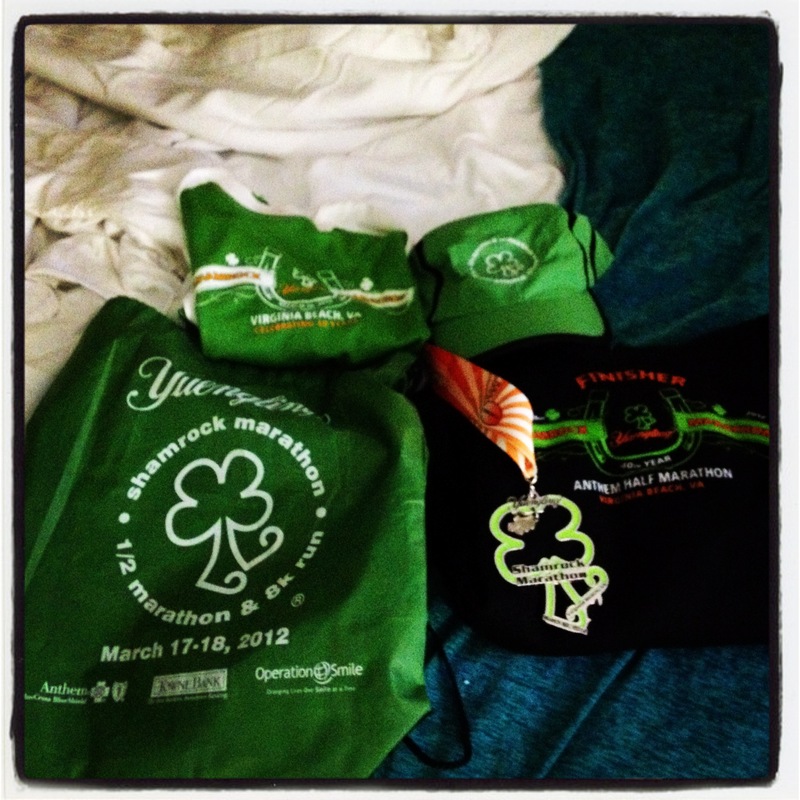 It was right around the Shamrock Marathon time where I got the idea in my head that I wanted to qualify for Boston. This course, far from where I was living in VA, was touted as a fast, downhill course that produced many BQs, PRs, and my friend Lizzie was going to come along, too…so, I signed up! Unfortunately, a little before the race rolled around, Lizzie was injured and wasn’t able to make the trip. And my training definitely was not where it should have been (I realize this even more now, looking back) so I went in to this race with a mix of both optimism…and realism. It became my Personal Worst (PW) at 4:16, but I had no regrets because I truly enjoyed the experience…I think this is about the time I realized how much I loved running the distance, no matter the outcome. You’ll have to read the entire recap to fully understand that superlative, but let’s just say that this was the race where so many stars aligned: I went in with a strong mileage base, very low stress, the weather was perfect (cool and sunny) and I had a bit of a hometown advantage (the race was just few hours drive away). Despite walking every water station, and the hilly course, I ran a 3:43:18, which, to this day, is my marathon PR – and I felt strong enough to even go on a run along the Inner Harbor the next morning. Perfect weekend all around. 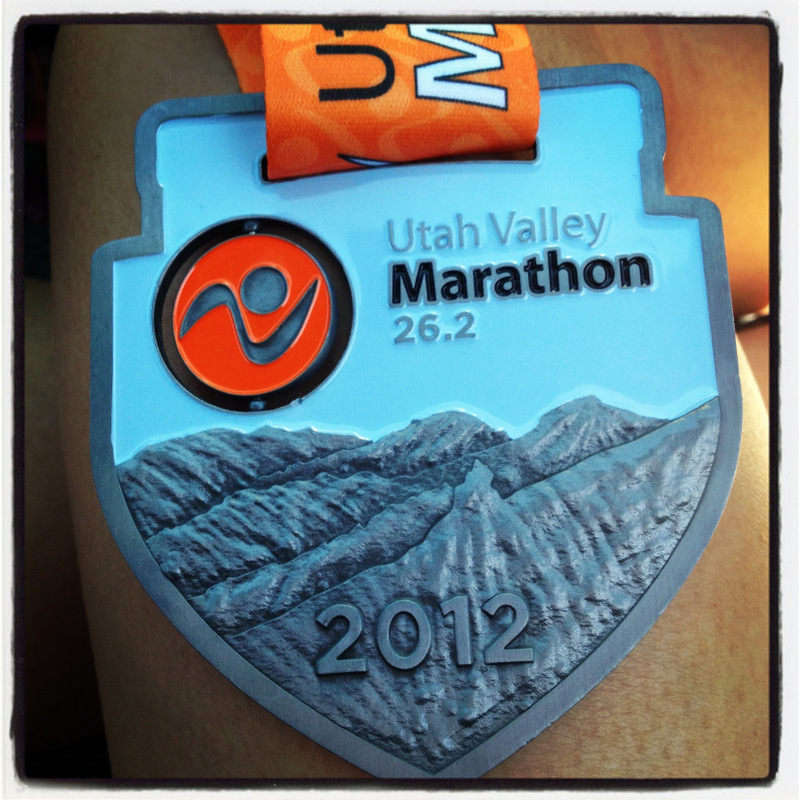 As a local, no-frills event, this was supposed to be my Fall 2012 (and BQ Attempt #2) goal race – but instead, it became my second marathon over 4 hours (4:03). I was pretty devastated about this performance, and marked the first time I ever came to a complete halt, sat down, and cried. 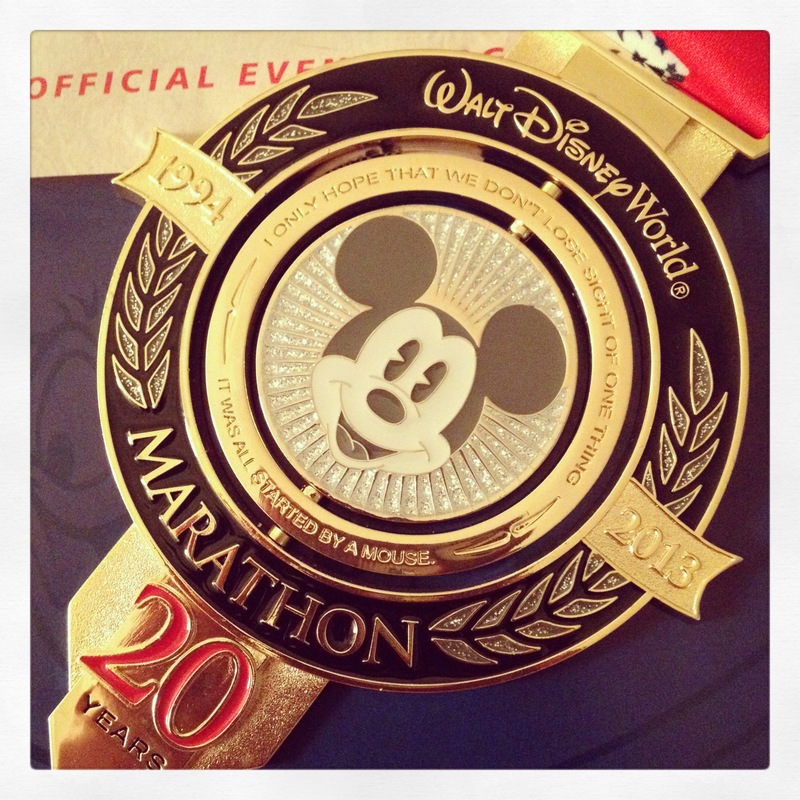 They say at runDisney, that every mile is magic…and at the 2013 Walt Disney World Marathon, it definitely was. This race was JUST what the doctor ordered after that horrendous race just weeks before! The weather was projected to be a “very Florida” humid 80 degrees, so as soon as I arrived (after a very turbulent travel day) I shifted my expectations completely and made my mission simple: have the most fun ever….and fun was definitely had! I LOVED running through all four theme parks, posing with all the characters, and just soaking up the energy of the weekend. When I crossed the finish line at 4:59, a full hour slower than my first marathon, I could not have been more proud, or full of love for the marathon distance. I was honored to be chosen as a 2013 race ambassador for this incredible event, and with that extra enthusiasm, was hoping to BQ here. Spoiler alert: it didn’t happen, but to be perfectly honest, it didn’t matter, because I was just thankful to take this scenic 4 hour, 18 minute, 26.2 mile tour of one of the most beautiful cities I have ever had the pleasure of visiting. You see, my training went a bit lackluster after a series of fatigue-related injuries, and at that point in my running/marathoning life, it finally dawned on me that there would ALWAYS be more marathons – and that health should always be the biggest priority. Although this was technically my “third” crack at a BQ, looking back, I’d say this was my first serious attempt. Since I had experienced training burnout in the past, I went about an entirely different approach with Space Coast, using the Hansons Marathon Method, majorly increasing my mileage, and working with new paces and workouts – and it totally changed my training, for the better. 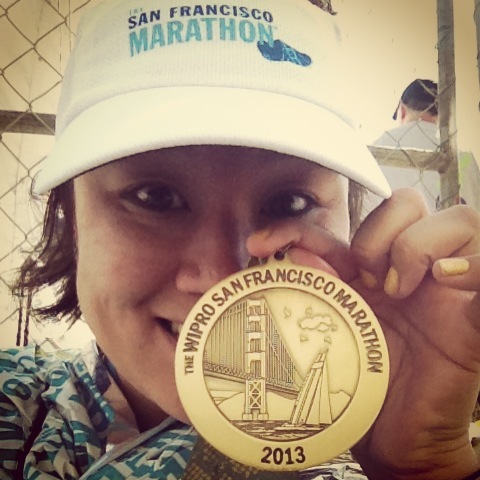 Although I did not BQ or PR that day (my pace imploded at Mile 25, of all places – if it hadn’t, it would have been a major PR day) it was my strongest performance in the marathon distance until that point. And with that amazing theming, medal and post-race refreshments, I left Cocoa disappointed, but not defeated. I’ve already registered for 2014, and can’t wait to hit that course again, no matter what the clock says. With these eight, very different, and very memorable races in my backpocket, I approach 26.2 with DONNA with love in my heart, confidence in myself, and totally ready for another incredible journey. I hope you enjoyed my little jaunt down memory lane…so tell me…how would you describe (good, bad and ugly!) some of your most memorable race moments? Donna is such a great race. I got choked up several times throughout the run, and not just because I was in pain… all the survivors who run are incredibly inspiring. When I ran this event last year, it was my first marathon. I had no idea what to expect, but knew it was the perfect race for my first 26.2 since it’s in my hometown and is for a great cause. I’m sure you’ve done your fair share of research, however, I do have some tips: all the miles off the beach are amazing in terms of crowd support, with tons of enthusiastic pink-wearing spectators. I never felt alone. Personally, I struggled with those 3 miles on the sand and wasted too much energy there, so I recommend trying to find the hardest packed sand you can find and not worrying if you fall off pace slightly; miles 16-21 are on a severely banked road so try to run in the middle of the road or on the left side; be cautious of speedy relayers and those walking the half marathon as you approach mile 22… I felt like I bobbed and weaved unnecessarily once I got onto the highway/bridge when I should have just picked one side and stuck with it. The last .2 are AMAZING – so much crowd support and a huge, wide finishers chute. Have the best time! 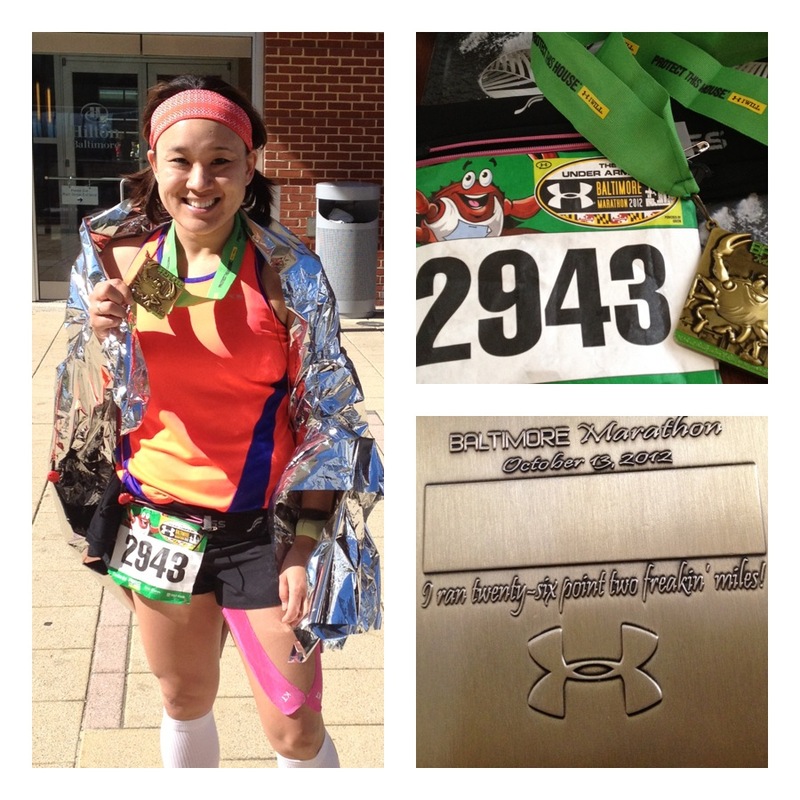 I can’t wait to read your recap and relive my first (and only) marathon experience! Loved reading this! 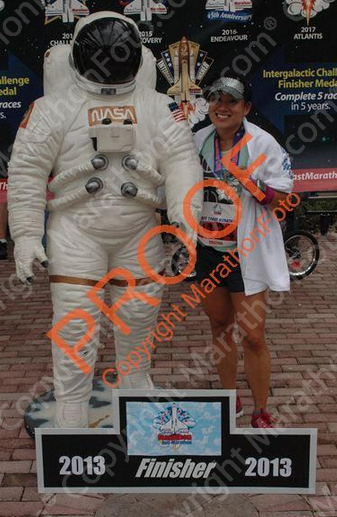 Each of my 7 marathons has been memorable for one reason or another…my first in NYC, my current PR in Philly, my most fun at Disney (also 2013! ), my most emotional on the anniversary of my dad’s death when I ran past his office building at the Chicago Marathon…literally a run down memory lane for me. But most of them have been good, even the ugly moments, if that makes any sense! I loved your trip down memory lane; makes me want to sign up for some of these races also! Especially Space Coast! I love this post! 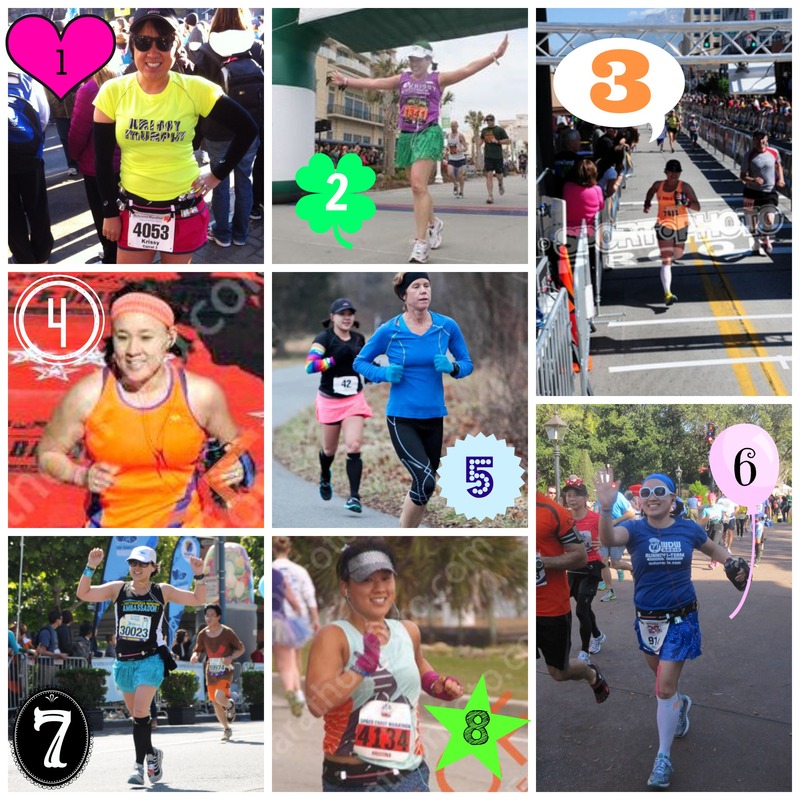 Such a fun way to remember what’s lead you to your 9th marathon! What a cute post – really enjoyed reading this. I can’t believe you have run EIGHT marathons! That is incredible girlfriend! I’ll be rooting for you on Sunday! Go Krissy go! These get me PUMPED to run my next full! only #2 but getting there! Gosh I can relate to so many of these – especially hitting the wall HARD in my second marathon (Portland) and then wanting redemption (also Portland, haha). What I have yet to do is run a marathon purely for fun – no time goals, no Garmin, none of that. I’m thinking that whenever I do Big Sur, that will be the one. Sending you fast thoughts for your next race!